For decades, the big payment technology in use not only in the U.S., but around the world, was the familiar old magnetic strip on the back of credit and debit cards. For decades, the big payment technology in use not only in the U.S., but around the world, was the familiar old magnetic strip on the back of credit and debit cards. Only recently has a big changeover begun to take hold in the U.S., but after that initial inertia, many experts believe big changes are on the way. EMV and mobile payment platforms are starting to pick up steam thanks to their increased security, and experts say there is no end in sight of the evolution in payment technology. While many merchants and consumers alike are moving to next-generation payment platforms like mobile, there have been some hiccups along the way, according to Business.com. Part of the issue is that mobile platforms in particular don’t offer the same advantages as EMV does. There are now so many developers in the game and the technology they use can vary greatly, making it difficult to find a simple all-in-one solution that will be able to be used at every store. 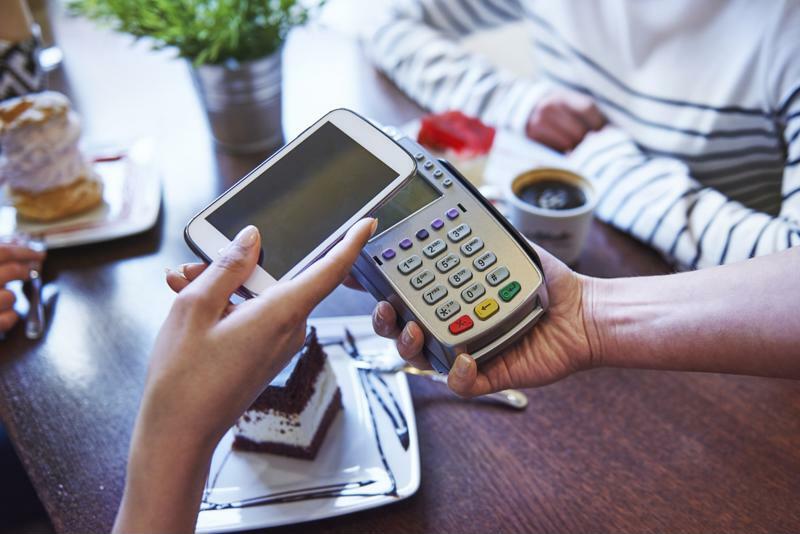 Mobile payments continue to gain traction, but what comes next? What’s Needed To Take The Next Step? One of the biggest hurdles in the early days of mobile adoption was that many consumers simply didn’t have devices – be they wearables or smartphones – that were capable of making payments that relied on near-field-communications technology, the report said. That led to fractious development as companies tried to create workarounds for the lack of widespread NFC use. But as time goes on, a large and growing percentage of devices come with this technology equipped, and the payment and tech industries seems to be coalescing behind NFC as the next step in adoption. But when it comes to what payments will look like in the future, the e-commerce titan Amazon may have the answer, according to Grub Street. Amazon is now planning to open brick-and-mortar stores – including grocery stores – that will use sensors to track users throughout a building and automatically charge their accounts for the items they buy when they walk out, eliminating the need for checkout counters at all. It’s difficult to tell whether these stores will catch on, but if they do they might prove beneficial for merchants looking to increase their profit margins. As merchants across the country recognize the need to transition to the latest payment processing technologies, investments are expected to skyrocket, according to the latest estimates from BIS Research. The total value of this investment trend could grow to as much as $14 billion each year in about five years, with a stunning compound annual growth rate of nearly 36 percent from 2016 to 2022. Not surprisingly, given the trends in the U.S. in particular, North America is expected to lead that charge with a CAGR in investment of more than 58 percent over the same period. With this in mind, it’s vital for merchants of all size to make sure they’re taking the necessary steps to adopt the latest technology, to not only increase the security of their processing efforts, but also to meet evolving consumer demand.